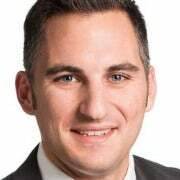 Timothy Doescher is associate director of coalition relations at The Heritage Foundation's Institute for Economic Freedom. The U.S. economy is strong and growing, according to the latest jobs report. 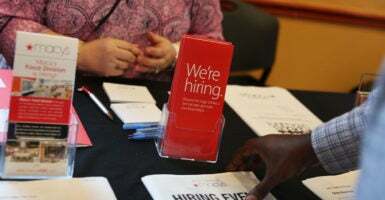 The Bureau of Labor Statistics on Friday released a positive jobs report on March, showing gains of 196,000 jobs, after only 20,000 jobs were created in February. All the while, the U.S. continues to boast an almost record low unemployment rate and rising wages for workers. Notable details of the March jobs report showed the unemployment rate held steady at 3.8 percent in March, and the labor force participation rate was essentially unchanged. In addition, the U-6 unemployment number, which measured both discouraged workers who aren’t currently looking for work as well as those holding jobs part time for economic reasons, also held at 7.3%. In addition, the African-American unemployment rate fell from 7% in February to 6.7% in March, teenage unemployment fell from 13.4% to 12.8%, and adult female unemployment fell from 3.4% to 3.3%. Job numbers from January were revised up from +311,000 to +312,000, and the low 20,000 jobs created in February were revised up to +33,000. With these revisions, employment gains in January and February combined were 14,000 more than previously reported. After factoring in these revisions, gains have averaged 180,000 jobs per month over the last three months. In March, average hourly earnings for all employees on private nonfarm payrolls rose by 4 cents to $27.70, following a 10-cent gain in February. Over the past 12 months, average hourly earnings have increased by 3.2%. Continuing with the momentum, in a separate report released earlier this week, the Bureau of Labor Statistics reported that initial jobless claims not only beat expert predictions, but they haven’t been this low in nearly 50 years. So where were the jobs gained and lost? Professional and Technical Services: +34,000 jobs. Food Services and Drinking Places: +27,000 jobs. While there has been a net gain of 466,000 manufacturing jobs since President Donald Trump took office, last month’s manufacturing numbers present a bit of concern, given the primary losses occurred in the motor vehicle and parts sector. Trump says he is imposing tariffs in order to save manufacturing jobs, and many of his supporters believe he is right to do this. Some believe it is a brilliant negotiation tactic. But history shows that tariffs do nothing but kill jobs. While this is certainly not a trend in the jobs numbers, it would be a shame if this continued, and the great progress we have made over the last few years dissipates because of needless trade tariffs. The jobs report shows that the economy continues to be strong, so let’s keep the momentum going. We need to keep up the focus on building the workforce, not gambling with jobs as a tactic. We already know what works, and tariffs never have.